What is an Insurance Policy Period? All car insurance policies have a definite policy period. The policy period is the dates during which the policy is effective. The start date and end date are the cutoff dates on your documentation, payments, and coverage unless you choose to renew the policy. It’s important to be aware of your policy period so that you don’t get caught without car insurance unexpectedly. What determines a policy period? Your policy period is determined by the day you start your car insurance policy. It can be any day of the month. A policy does not automatically start at the beginning of the calendar year or month. It is an arbitrary date you have the ability to select at the time of purchase. If you don’t have any insurance at all at the time of purchase, you should set the start date for on or before you want to start driving on the road, lest you get caught driving without insurance. How long is a policy period? The length of a policy period can vary per insurance carrier. A large portion of carriers only offers six month policy periods. Some policies can have a year-long policy period and some carriers even offer a month to month policy period. Month to month policies are rare and are often reserved for high-risk drivers. The policy period will be listed on most of your documents, but you can also ask your car insurance agent what it is. Policy period usually dictates payment due date. A major function of a policy period is that it dictates your payment due date. If you pay in full, the start of your policy period will be when your payment is due. If you pay monthly, your payment will be due on the same number date as your original policy start date. For instance, if you begin your policy on the 5th of June, your monthly payments will be due on the 5th of each month. If you pay your premium in full, your next payment will be due at the end of the policy period, which will also be on the 5th of the month. All payments will be based on the date the policy is started unless other special arrangements are made. Where can I find my policy period dates? 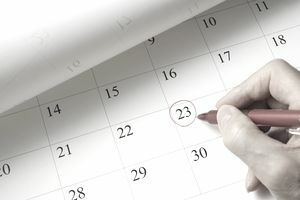 Policy period dates can be located in a couple of different places. Check your proof of insurance. The policy period is always listed. It can also be found on the declaration page or you can call your insurance agent or customer service representative. What happens at the end of a policy period? When a policy period ends, it is when your policy is up for renewal. You can either opt to continue your policy and renew, or switch to a new insurance carrier. That is unless your policy is being non-renewed, then you will need to look for a new insurance carrier whether you want to or not. Most drivers won’t have to worry about this outcome though: unless you are a very poor driver with a very poor track record, most insurance companies will be eager to keep your business. It is always a good idea to know your policy period dates. It will make you aware of when your payment is due. It will also make you aware of when to start shopping for a cheaper rate if you plan on switching at the end of the policy period.